DC-Cam has supported several filmmakers with photographs and music, research, translation, logistics support, and interviews with its staff. For example, in 2004, we provided research, translation, and other support to Cambodian director Rithy Panh on his documentary S-21: The Khmer Rouge Killing Machine, which was screened at the Cannes Film Festival. In April, DC-Cam director Youk Chhang accompanied Mr. Panh to New York to screen the film at the United Nations in preface to fundraising for the tribunal. We also gave advisory support to Mr. Panh two other documentary films. One night, newly married Tang Kim was told by the Khmer Rouge that she was being taken to live with her soldier husband. But instead, she and eight other women were sent to a rice field near her village for execution. Huddled on a dike with only one soldier to guard her, Tang Kim heard the screams of the other women being raped. Knowing she would be next, Tang Kim begged her guard for protection. But the other soldiers returned and raped her as well. This documentary relates the story of Tang Kim (who is a Buddhist nun today) and her constant struggles to come to terms with what happened to her during the Khmer Rouge regime. It has been screened in Thailand, the Brussels Film Festival, the Prix Bruno Mersch Film Festival, and the Museum of Modern Art and Asian Cultural Council in New York. 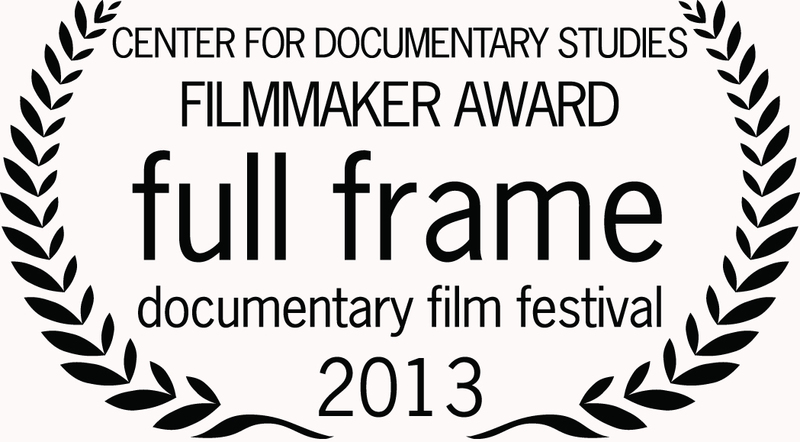 It was also nominated as a finalist at the 2005 US ASEAN Film, Video and Photography Festival. Earnings from DVD productions of the film are being used to support the education of Taing Kim’s children. Copies of this film are available at the Documentation Center of Cambodia’s Public Information Room (66A Sihanouk Blvd., Phnom Penh, 023-211-875, Monday through Friday, 8:00 a.m. to 5 p.m.). After five years of waging civil war, Cambodian communist forces known as the Khmer Rouge marched into Phnom Penh on April 17, 1975. They immediately began forcibly evacuating the residents of the capital and other cities, displacing more than two million people to the countryside. The city dwellers joined rural Cambodians in an ill-fated attempt to turn the country back to “year zero” and establish a peasant-led agrarian society. Most of the population was forced to work 14 or more hours a day, building dikes and canals, and growing rice and other crops. The Khmer Rouge also abolished schools, money, private property, courts of law, markets, businesses, the practice of religion, and nearly all personal freedoms. malnutrition, hard labor, or disease. At least another 200,000 were executed without trial. Kampuchea invaded Cambodia on Christmas Day 1978. Encountering only a fleeing Khmer Rouge military and a weakened population, they moved quickly through the country and reached Phnom Penh on January 7, 1979. By late afternoon they occupied the city, which was empty save for a few hundred prisoners of war and people in hiding waiting to escape. The next day, two Vietnamese officials who accompanied the invasion were drawn to the stench from a compound in the southern part of the city. There, they discovered the most important of the Khmer Rouge prisons, the former Tuol Sleng High School, which was known to the Khmer Rouge by the code name S-21. Tuol Sleng was used to detain people the Khmer Rouge considered to be enemies of the state, including members of their own ranks. Of the estimated 14,000 men, women, and children held there, only about a dozen are known to have survived. Two men who were imprisoned at Tuol Sleng, Bou Meng and Chum Mei, and a former guard, Him Huy, were interviewed for this film in 2006, more than 25 years after the tragedy of Democratic Kampuchea. S-21 Survivors today are: 1) Chum Mey, 2) Bou Meng, 3) Nhem Sal, 4) Touch Tem. From 1975 to 1979, the Khmer Rouge regime was responsible for the deaths of approximately 1.7 million Cambodians, in one of the most brutal genocides of the 20th Century. After falling from power in 1979, the Khmer Rouge waged a civil war from the Thai border for nearly 20 years. But by the late 1990’s, the regime was in a state of collapse, and the Royal Government of Cambodia began working with the United Nations to create a court to try senior Khmer Rouge leaders. An international tribunal was finally established in Phnom Penh under the official name: the Extraordinary Chambers in the Courts of Cambodia (ECCC) for the prosecution of crimes committed during the Period of Democratic Kampuchea. The tours sought people from across Cambodian society, including Buddhist Nuns, Cham Muslims, students, and those living in poor areas with little access to information. For it is the thinking, that the court will be most effective, if the Cambodian people themselves are involved in the process. Over 2 million lives were exterminated by a mass genocide in Cambodia, leaving behind a country still recovering from the torture and torment of nearly four years of despotic rule by the Khmer Rouge regime. More than thirty years since the collapse of the regime, people are still struggling to live their normal lives. From the pain and trauma of the killing fields of Cambodia emerges a story of truth, revenge, and forgiveness. 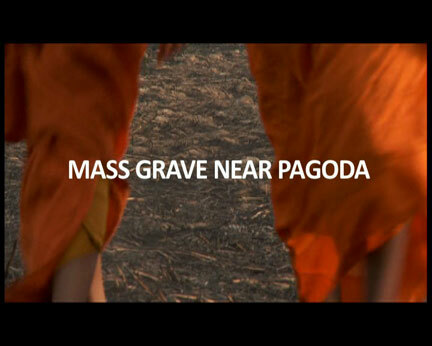 In Mass Grave Near Pagoda two women, Lieb and Kim Vaing grapple with the death of their respective father and uncle by the hands of Kin, a willing executioner, who killed to preserve his own life. All three live in the same village. Faced with the truth of the past, they must now question their faith in religion and humanity to find the strength to forgive. 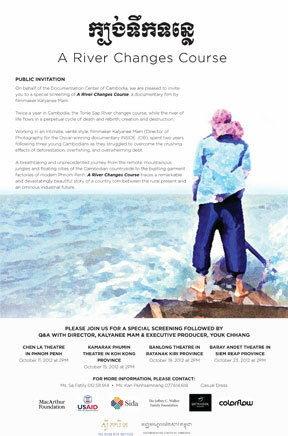 The film with its title in Khmer Kbang Tik Tonle refers to the importance of water in Cambodians' lives. It means that if one holds a scoop of water, every single drop of the water has to be protected, because the river and the water mean life to the Cambodian people. Twice a year in Cambodia, the Tonle Sap River changes course, while the river of life flows in a perpetual cycle of death and rebirth, creation and destruction. Working in an intimate, verité style, filmmaker Kalyanee Mam (Director of Photography for the Oscar-winning documentary INSIDE JOB), spent two years following three young Cambodians as they struggled to overcome the crushing effects of deforestation, overfishing, and overwhelming debt. 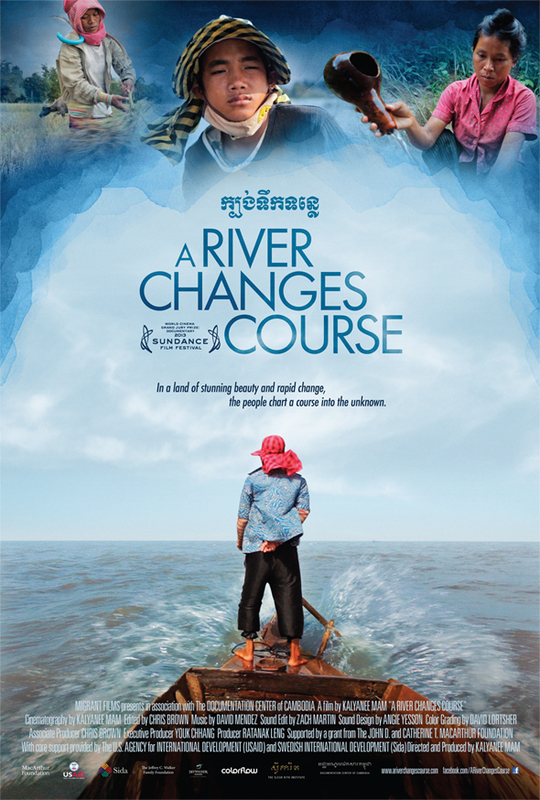 A breath taking and unprecedented journey from the remote, mountainous jungles and floating cities of the Cambodian countryside to the bustling garment factories of modern Phnom Penh, A River Changes Course traces a remarkable and devastatingly beautiful story of a country torn between the rural present and an ominous industrial future. By March 2103, A River Changes Course has been awarded the World Cinema Grand Jury Prize, Best Documentary Feature, and Tops Full Frame Winners: Documentary Studies Filmmaker Award at Sundance Film Festival, Atlanta Film Festival, and Full Frame Documentary Film Festival, in the U.S. Also, the film has been selected to international film festivals in the U.S., Germany, Korea, Australia, and Israel. 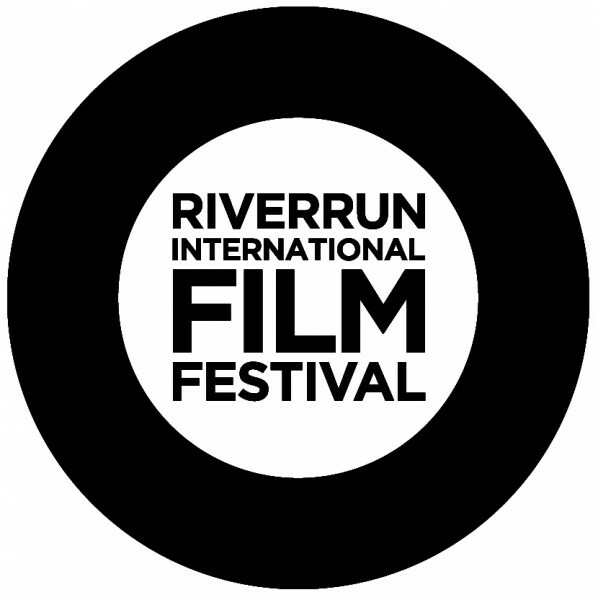 Among those, A River Changes Course has been selected as a finalist for the Festival Grand Jury Award in Non-Fiction Feature Filmmaking, an annual component of The Los Angeles Asian Pacific Film Festival. DC-Cam has received numerous requests to hold special screenings at universities, organizations, and other venues in Cambodia and abroad. In Cambodia alone, this quarter, DC-Cam has screened the film to approximately 1,560 people. The audiences include villagers, students, NGO's members, embassies' staff, academics, etc... The following is the list of locations where the film screenings have been held and will be screened. For the last twenty years, the Documentation Center of Cambodia (DC-Cam) has been at the forefront of efforts to gather stories of the surviving victims of the Cambodian genocide and to educate future generations on the events of this horrific period. As Cambodia moves forward towards rapid development, the DC-Cam will have another unprecedented opportunity to document, through a film, the social and environmental impact of development in Cambodia. The film project aims to engage and inspire both a local and global dialogue on this subject as well as reveal the natural beauty of Cambodia’s people and landscape. the river of Kampong Chhnang Province, whose livelihood is drawn from the water – struggle with the momentous challenges of daily survival in the face of development and change. Having lost their home and livelihood once to the Khmer Rouge, these communities must now cope with a second loss – the loss of an ability to make a living from the land and the river that are their homes. Set in the context of a nation still struggling to reconcile its past, how individuals within these communities confront and resolve their losses is telling of how Cambodia will brave its own future. Cambodia's story is not unique as the consequences of rapid development are being felt all over the world. But the tragic history of this nation, it's landscape saturated with vast green rice fields, glistening water and monsoon rains, and the people whose strength continues to endure despite difficult odds, makes for an exceptional, beautiful, and touching story. Funding for this project was generously provided by the MACARTHUR foundation and with core support from The United States Agency for International Development (USAID) and Swedish International Development Agency (Sida). 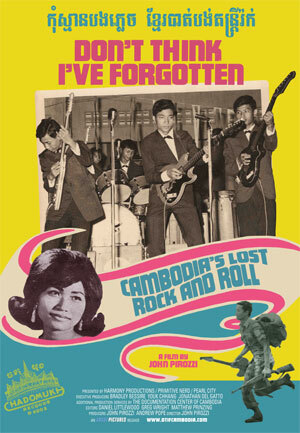 The film is a celebration of the incredible music that came from Cambodia and explores how important it is to Cambodian society both past and present. One of the most iconic photographs at S-21 is a woman holding a new born with an unmistakable expression. Looking closer a discernable drop of tear could be seen in the photo. It is displayed in Building B of the Toul Sleng Genocide museum. At this point an unsuspecting tourist would have realized how cruel and harrowing this prison was under the Khmer Rouge regime. Here alone nearly 14,000 people were tortured, forced to confess and executed. Both the mother and her baby were killed at S-21 in June 1978, less than two months after they were brought in. This photo represents everything that was cruel at S-21 and the indiscriminate killing that happened here or throughout the regime. Men, women, children, adolescents and elderlies were all brutally tortured, starved and killed. Writers, journalists and state officials including former US secretary of state Hillary Clinton were drawn to this photo. It has a story. The woman in the picture was Cham Kim Srun who was a wife of a Khmer Rouge regional chief named Sek Sat. Both were former Khmer Rouge revolutionaries who had fought for the regime for many years before it took power in April 1975. They were brought to S-21 at the height of the Khmer Rouge’s internal purge of the Eastern Zone. Their only surviving daughter is a 44-year old Sek Say who lives an hour-drive to the east of Phnom Penh. For more than twenty years she was searching for her mother. She knew that her father had been killed by the Khmer Rouge, but retained a faint hope that they would spare her mother for her revolutionary contribution. But she discovered her mother’s photograph in 2005 through a publication of DC-Cam’s family tracing of Searching of the Truth. Today Sek Say has five beautiful children. She is stricken by grief but looking forward to building a bright future for her children. WHAT I F THE STONES COULD SPEAK is a short documentary film which described silently about the suffering beauty of Khmer ancients temple that destroyed during the civil war in Cambodia. Cambodia. A mystical land embroidered by nature and adorned with soaring architectural monuments of ancient human adulation to Buddhist and Hindu gods draws us away from the often mundane and repetitious landscape of everyday life. To experience its profound beauty is to abandon the spiritual vacuum of the life of work and to be carried into another dimension of wonderment, immutability, inspiration and fulfillment. The Anlong Veng Peace Tour program is a community reconciliation initiative aimed at bridging the divide between former Khmer Rouge cadre (KR) in their last stronghold (Anlong Veng) and Cambodia’s younger generation. The intent of the program is to provide an educational platform for the study (and mitigation) of human conflict as well as to encourage greater civic engagement. Through panoramic views of villages, waterways, and lush jungle, The Long Road to Education presents a story of the Cambodian people’s journey from a dark past to today. For a significant part of the twentieth century, Cambodia was ravaged by war, genocide, and extreme deprivation. Between 1975 and 1979, the Khmer Rouge regime all but wiped out many of the country’s institutions. Education suffered and the effects of this period can still be seen today. The school system has rebounded, but the struggle has not been easy, nor is it complete. The Long Road to Education carries the viewer above Cambodia’s spectacularly beautiful landscape, weaving in personal stories and perspectives of local people, to paint an intimate portrait of the Cambodian people’s struggle for a better future. With the future of the Khmer Rouge Tribunal limited to a small number of high profile leaders, and a modern Cambodian population of which some 70% of the population was born after the worst of the Khmer Rouge genocide, Cambodia is facing a turning point. On the one hand, Cambodians run a real risk of losing a firm grip on understanding, memorializing and ultimately accepting a difficult past. On the other hand, a rapidly globalizing Cambodia must take on new challenges of sustainable growth, democratic integrity and human rights. Anlong Veng Master Plan, Anlong Veng, Cambodia (Documentation Center of Cambodia). Eng. The Documentation Center of Cambodia has worked with London studio DaeWha Kang Design to create a new vision for the district of Anlong Veng, the final stronghold of the Khmer Rouge movement. This project aims to create a city of peace, reconciliation, and regeneration in a place known until now for violence and trauma. The Village History which reflects the development and publication of Khmer Rouge survivor stories as collected by local Cambodian teachers. We want to collect & preserve the memory of genocide survivors. We want to increase the reconciliation and intergenerational dialogue on KR history. We want to increase the public understanding of individual experiences of genocide survivors. On April 18, twelve trainee teachers, including students from Takeo province and three from the local area, themselves children of former Khmer Rouge, participated in the tour. Preparing for the journey to Anlong Veng, the students from Takeo wondered what they would learn from the visit, and what to expect from the tour. Were the former Khmer Rouge residents living in Anlong Veng be so different in their beliefs, attitudes, and culture? Several students had little familiarity – or belief – in the history of the Khmer Rouge in general. The April 2018 Peace Tour also marked a particularly important moment within the wider Changing the Story project. While tour participants had previously been assigned research tasks to draft reports on the history and experiences of local residents, the April 2018 tour was the first deployment of participatory film-making methods as a means for students to explore the stories of local residents and former Khmer Rouge. Working in groups of four, the student-teachers were trained in the use of audio-visual equipment ‘on-site’, identifying key themes and questions for their films to explore, before conducting interviews and capturing footage of key sites in the area. The ‘multiplication’ effect of the participatory-film making approach is significant: the trainee-teachers will be able to incorporate their films within their own teaching as they return to their schools. The experiences of the trainee teachers on the tours, as they take ownership of the production of learning resources about the Khmer Rouge history, promises to be a fruitful avenue for promoting dialogue, intergenerational memory and understanding of the Khmer Rouge regime, especially as the perspectives and experiences of stigmatised lower-level Khmer Rouge are taken seriously. While sensitive to the need to avoid any moral equivocation of different experiences of harm, for DC-Cam and the Anlong Veng Peace Center, reconciliation involves, at least, understanding and acknowledging that lower-level former Khmer Rouge living in Anlong Veng also suffered, themselves experiencing evacuation, starvation, and separation from their family members and relatives at points too.
" If you have survived genocide, you are blessed in many ways. You can begin again. You find a place live, get a job, make friends, start a family. Physical survival is the easy part. But you are unlucky in just as many ways. You are broken. Your heart aches from losing people you loved. You are haunted by your memories. You feel guilt at merely surviving when so many died. And worst of all, you can lose hope." "Although the Khmer Rouge tragedy has touched the lives of every Cambodian, directly or indirectly, our younger generations know too little about the history of Democratic Kampuchea. In fact, many young Cambodians do not believe that their parents and relatives experienced such hardship and unspeakable suffering during that period."